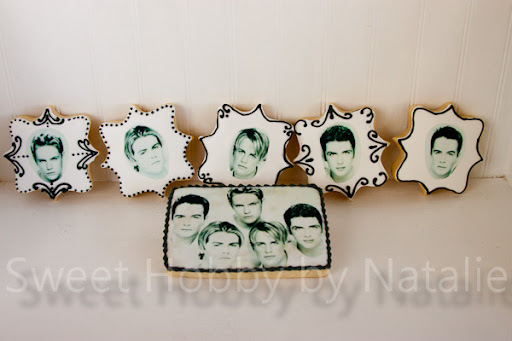 Sweet Shop Natalie: Who is Westlife? 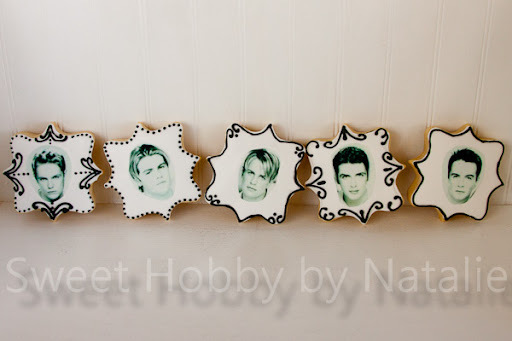 After I did some edible images on some cookies a few months ago my friend asked me to do some cookies for her aunts birthday in December. 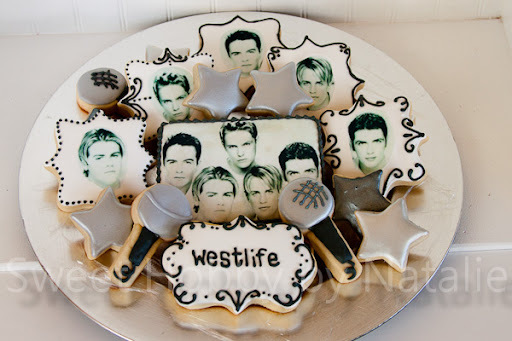 She told me she loved the band WestLife. I had no idea who that was so I googled them and found out it was a "boy band" from Ireland and they have been around since the 90's. 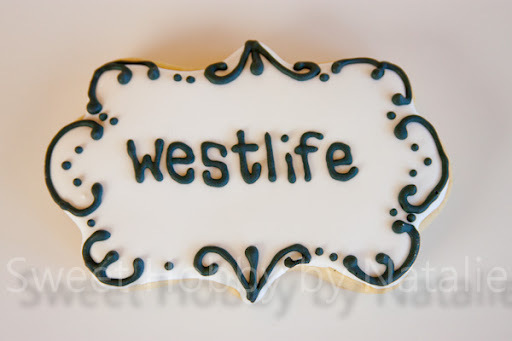 Well I planned to do two different pics of them but the bakery who printed out the edible images for me would not do the other picture for me because it said the band name on it and they said that was a copyright issue. Makes no since cause they printed out this one and I got them both off the internet. Oh well, they were made just to be eaten. 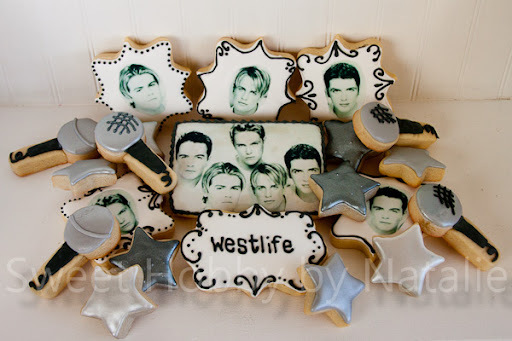 I threw in some stars and microphones to round out the platter of cookies. After a very stressful day that day I think they came out great. 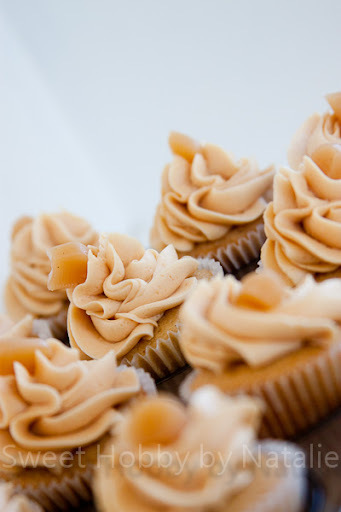 Oh my friend also wanted some salted caramel cupcakes so I snapped a pic of them as well. Fantastic job! It was such a surprise and I should have recorded her reaction :) Love your work Natalie. And those cupcakes....delicious!